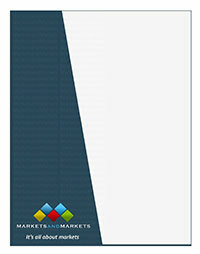 This research report categorizes the aircraft cabin interiors market based on end user (OEM, MRO, and aftermarket), type (aircraft seating, aircraft cabin lighting, in-flight entertainment & connectivity, aircraft windows & windshields, aircraft lavatory, aircraft galley, aircraft stowage bins, and aircraft interior panels), material (alloys, composites, and others), and aircraft type (narrow body aircraft, wide body aircraft, very large aircraft, regional transport aircraft, and business jets). These segments and subsegments have been mapped across major regions, namely, North America, Europe, Asia Pacific, Latin America, the Middle East, and Africa. From the insight perspective, this research report focuses on various levels of analysis that include industry analysis (industry trends), market share analysis of top players, competitive leadership mapping matrix, and company profiles. These insights together comprise and discuss basic views on the competitive landscape; emerging and high-growth segments of the aircraft cabin interiors market; high-growth regions; and drivers, restraints, challenges, and opportunities for the aircraft cabin interiors market.